Who doesn’t love food on a stick? 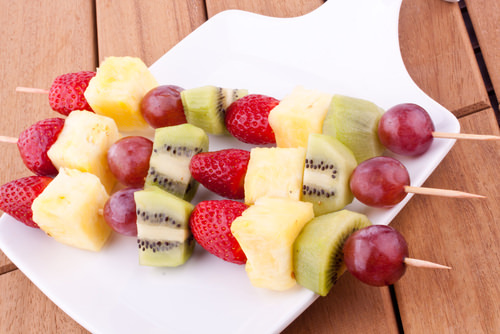 Choose your favorite fresh fruits: pineapple, watermelon, cantaloupe, strawberries, and grapes all work well. Cube the fruits, then place them on a bamboo skewer. Serve with nonfat Greek vanilla yogurt for dipping.